Makes sure your hot food is hot and cold food cold to the correct guidelines. Rugged Stainless Steel design. Temperature range of 0° - 220°F. Dishwasher safe. NSF Listed. Magnifying lens for ease of reading. Easy to read dial with handy pocket clip. 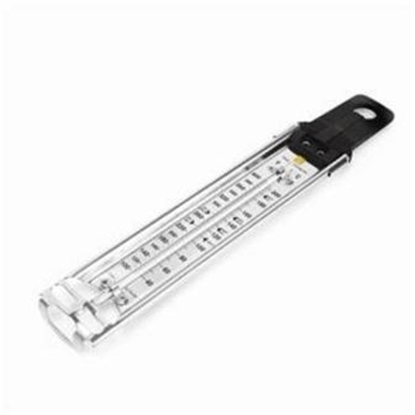 Insert thermometer tip as close to the middle of the item as possible. 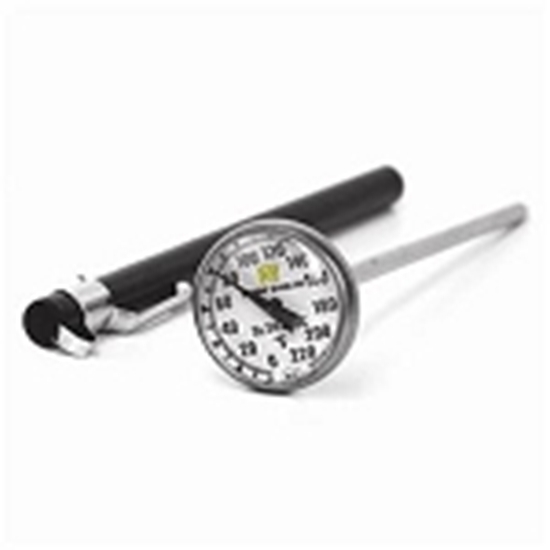 Allow thermometer to stabilize for at least 15 seconds before taking temperature reading. 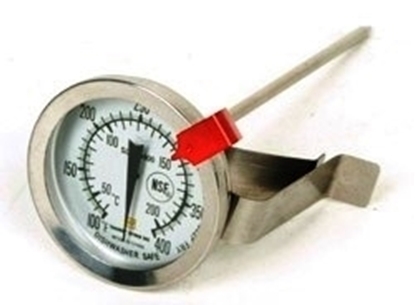 DO NOT leeave thermometer in the product while in the oven, microwave, or barbecue.